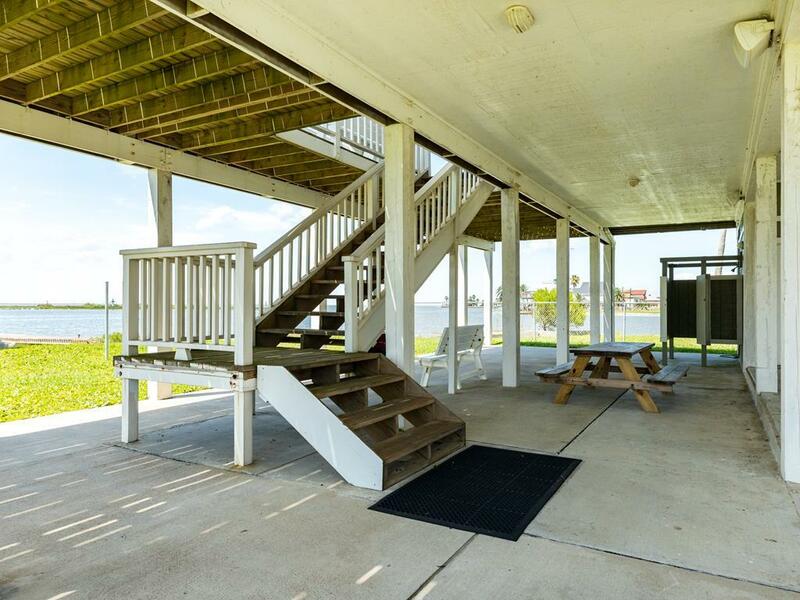 Remodeled interior, private T-head pier & bay front views of Bird Island! 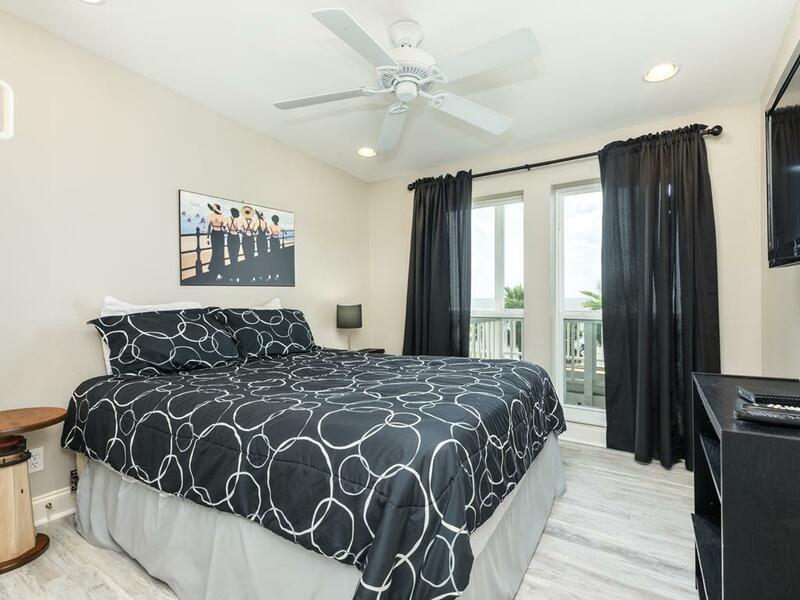 Walls of windows showcase stunning water views from the contemporary interior with comfortable furnishings. 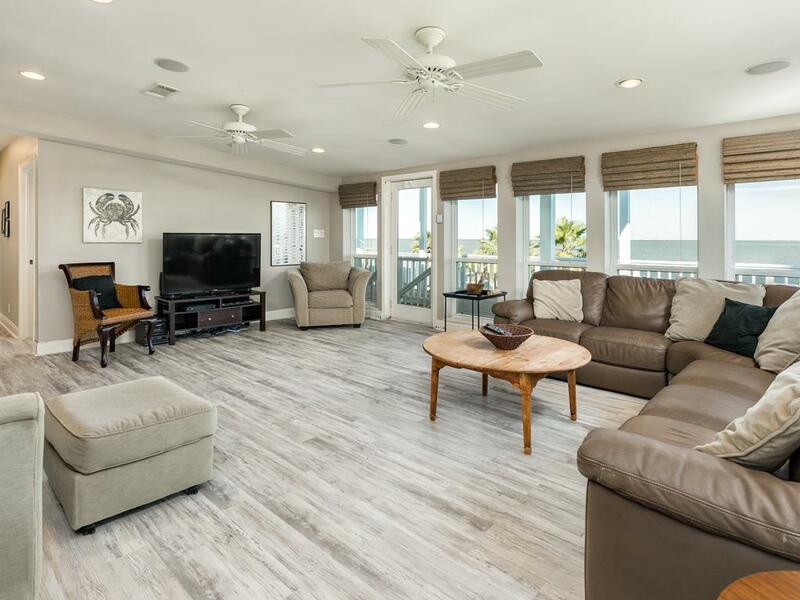 Sunset Pier boasts an open floor plan with great seating options, plenty of natural light, and bedrooms set up perfectly for small families or couples vacationing together. 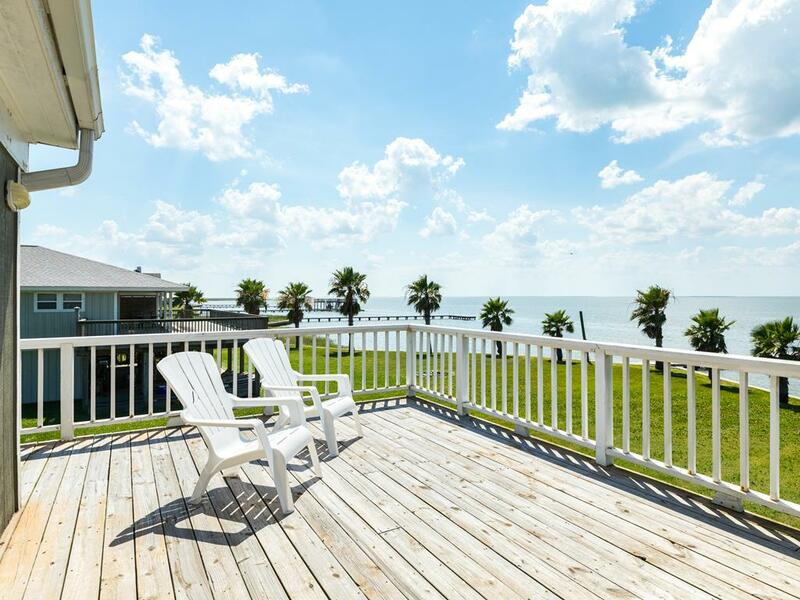 Outside you'll find a great patio area and large partially covered deck with great views of Bird Island. 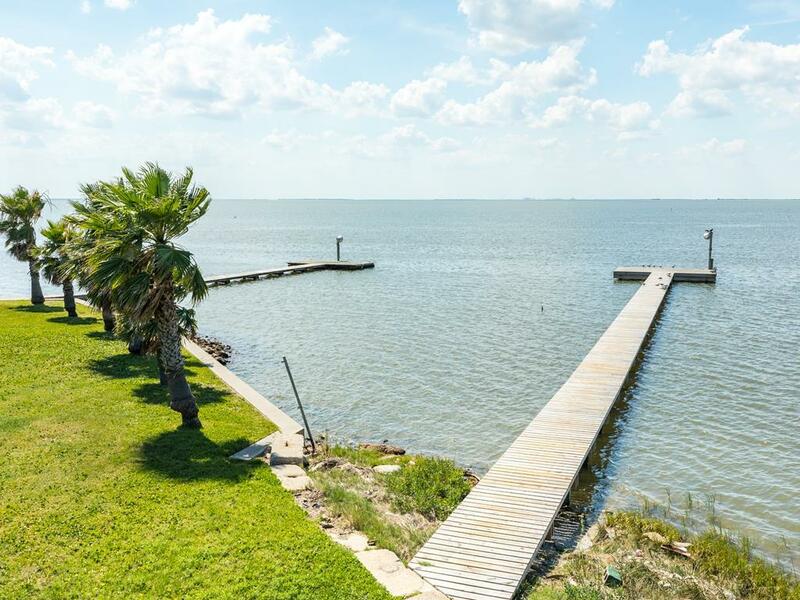 Plus, take advantage of the long dock – perfect for tying up your water vehicles or casting a line at any time of day! Very relaxing place with beautiful sunsets and great fishing. Private dock for the kids and I like the secluded house vs being on top of another house. The perfect blend of peaceful relaxation and fun. Cool breezes balance the sunshine. 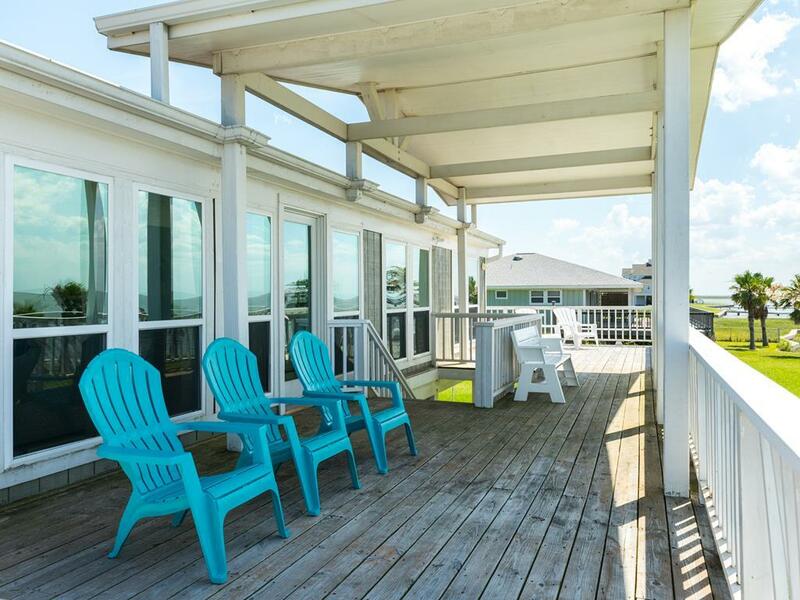 The upstairs vowing deck balances the private pier for fishing and crabbing. 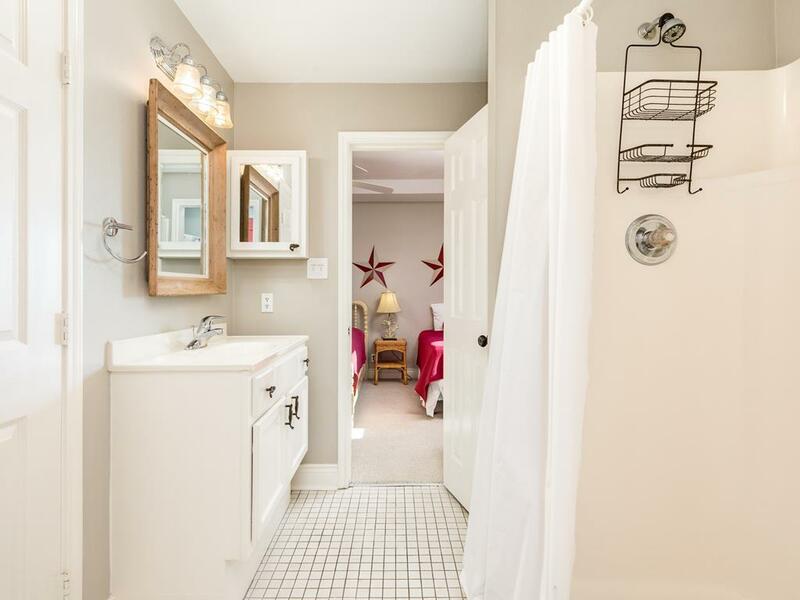 The downstairs shower is great after a visit to the beach. 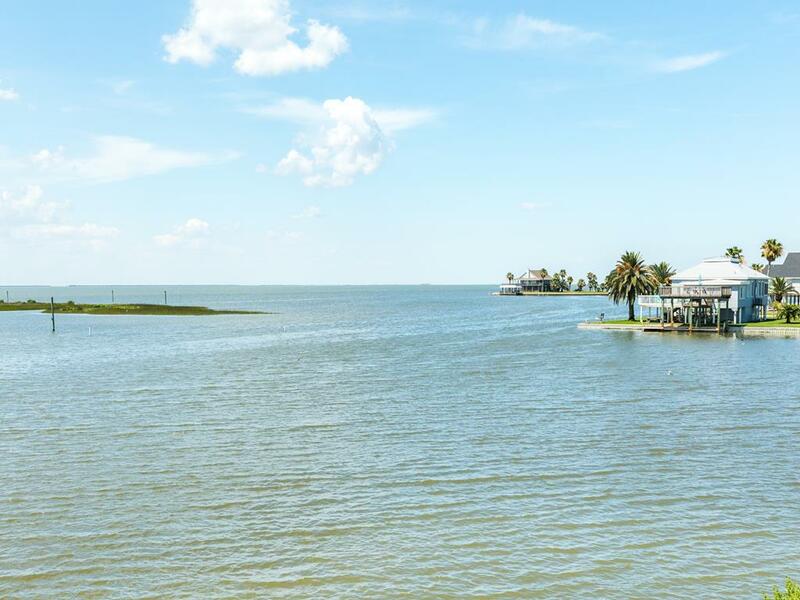 And downtown Galveston is a short drive down the road. 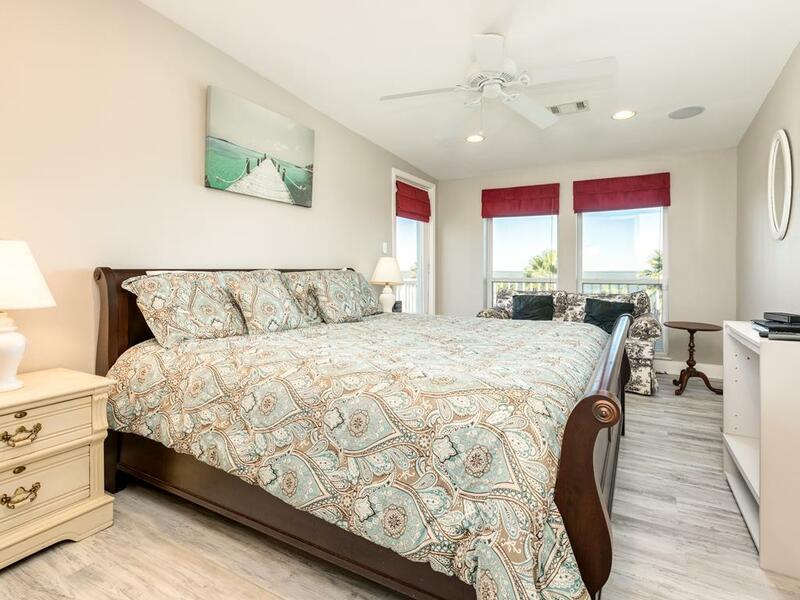 Two of the bedrooms face the bay. A great place to watch the sky change colors as the sun sets over the water. A large variety of water fowl. Great area downstairs for grilling and hanging out. The bay is great for kayaking. At night the fishing off the private pier is amazing. The only thing that disrupted our time on this property was "weather" . Other then that, the location was perfect, the house was perfect!! Highly recomend this to everyone!! 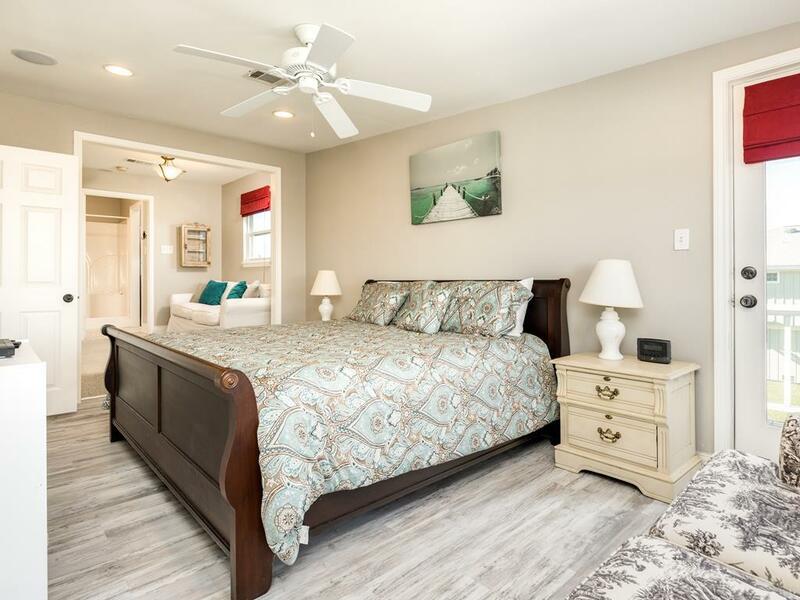 Loved this property! Great view of west bay and great fishing off the pier. The house was very comfortable. It was open and airy. The furniture was comfortable and allowed for our family to sit and visit while looking out on the bay. We have already booked it for same time next year. We absolute loved this property. Very open with lots of comfortable seating. Having the pier for fishing was Great! 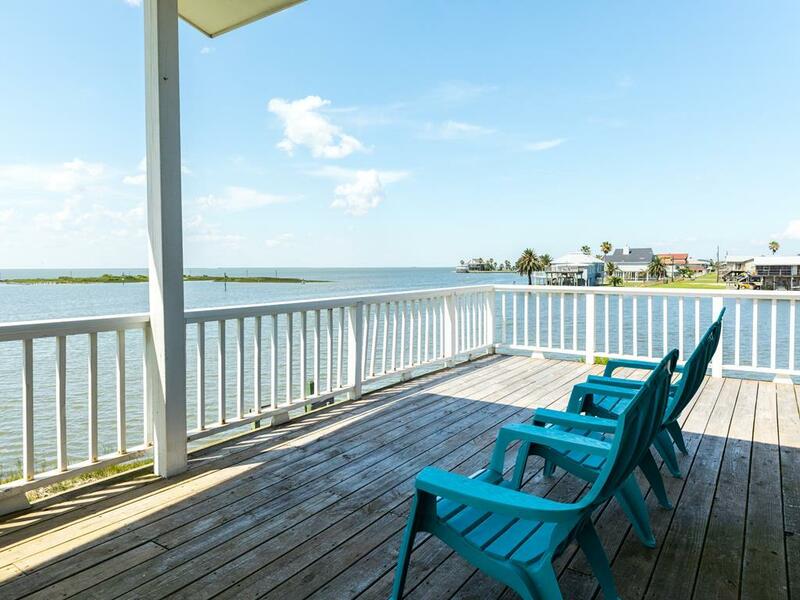 The deck is big and the views of the bay are breathtaking. Very quiet and private! Beautiful sunsets. Tranquil setting. Relaxing. Quiet location with great view. Great place to rent for a long weekend, if you're prepared to bring a lot of things with you, Lack of cooking amenities made cooking in the kitchen almost impossible!!! No measuring cups, mixing/storage bowls caused us to head to town often to pick up these things. Also, no hair dryer in either bathroom, make sure and bring your own. We are glad you enjoyed your stay! We always have household items on-hand in our office - please don't hesitate to call us during your stay if there is anything you need! 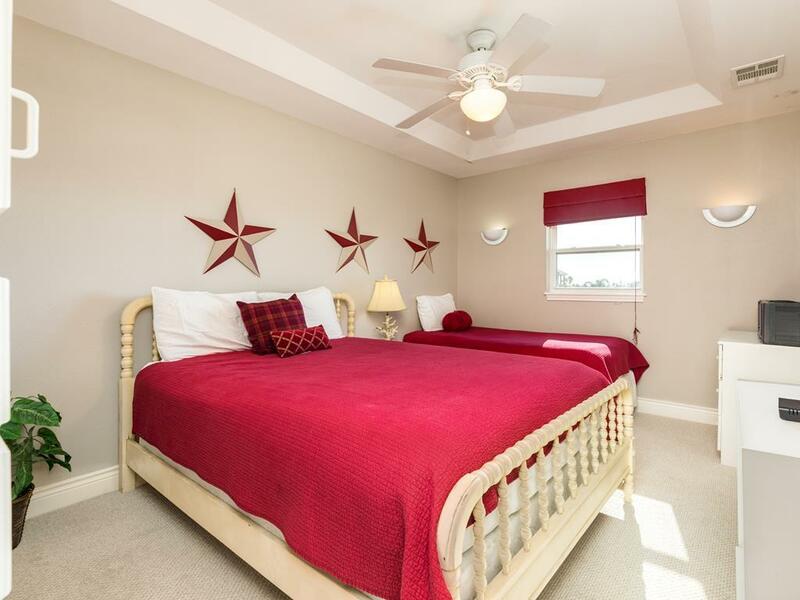 This property is in an ideal location to view the beautiful sunsets and is a pleasure to stay in. The fishing is awesome and the sunsets are even better! Love this place! 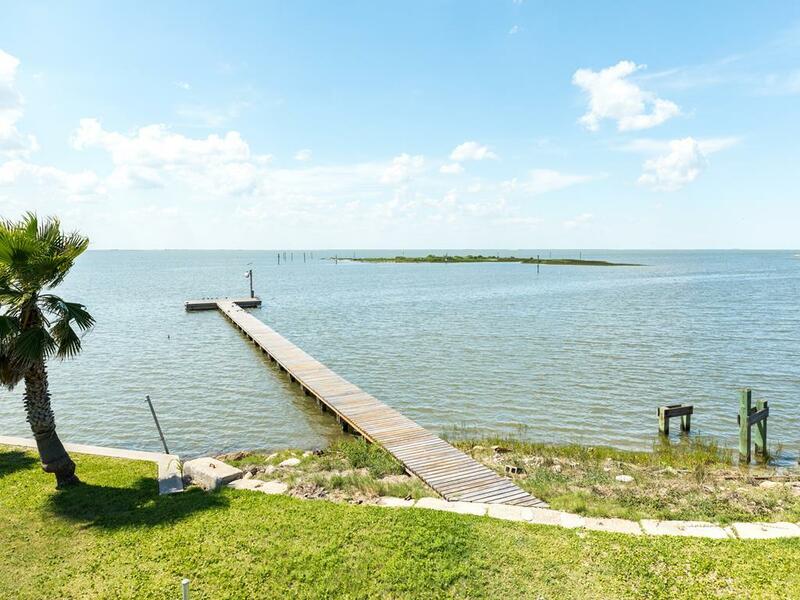 Sunset Pier is the perfect name for this property. The explosion of color in the sky and reflecting on the water as the sun drops out of site can be viewed from inside, from the spacious upper deck and from the pier. 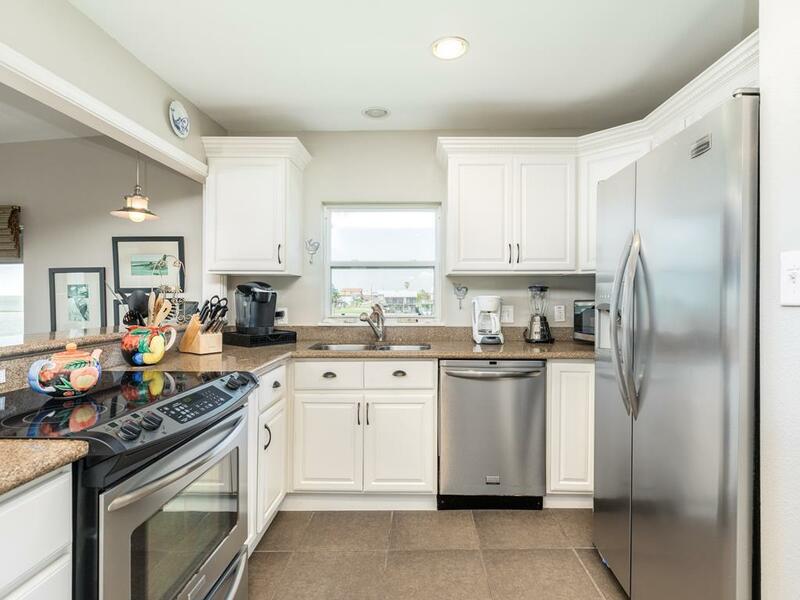 The spacious interior is very family friendly with a great kitchen, roomy den, and three bedrooms each with a tv. But with such great fishing who has time for tv. Overall this property was fantastic. 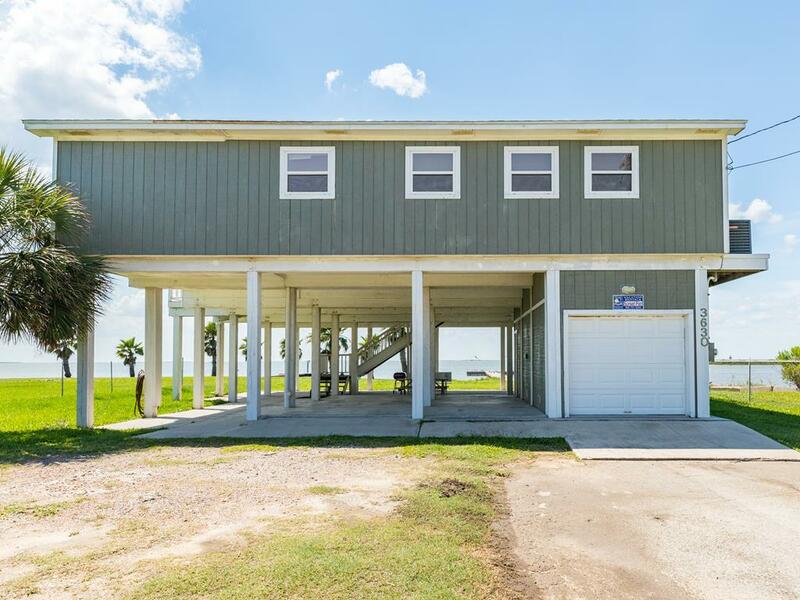 The home was very comfortable, the views of the bay were amazing, fishing was great, caught well over 100 fish including flounder, stingray, red fish, catfish, and crab. Sunsets were amazing. The dolphins came right up to the fishing pier early morning. 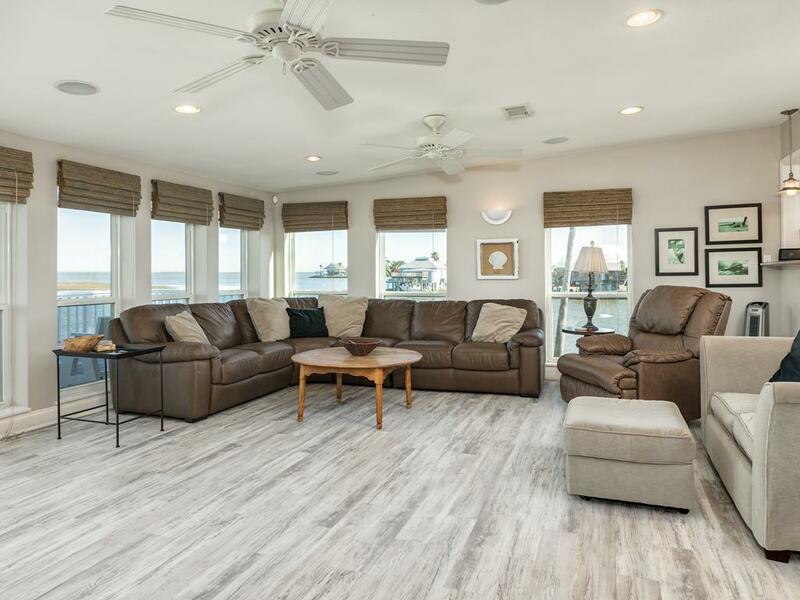 We were looking for a place to escape from daily stress of work, to relax and rest and this home was definitely the perfect place to do that. 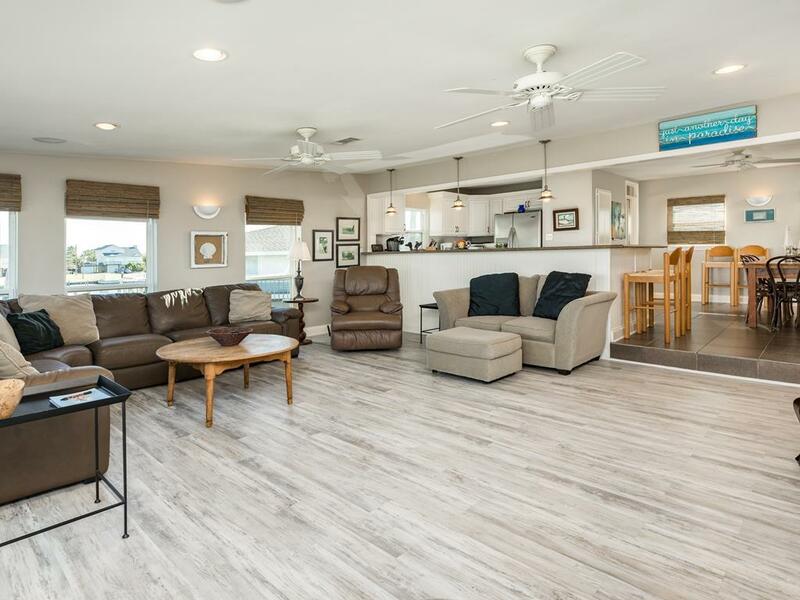 For a group of older adults who enjoy peace and solitude, beautiful views, fishing and just relaxing, this is the perfect property. We are already planning our next visit and hope to come two or three times a year. While hesitant to leave comments as it may keep us from being able to book in the future. 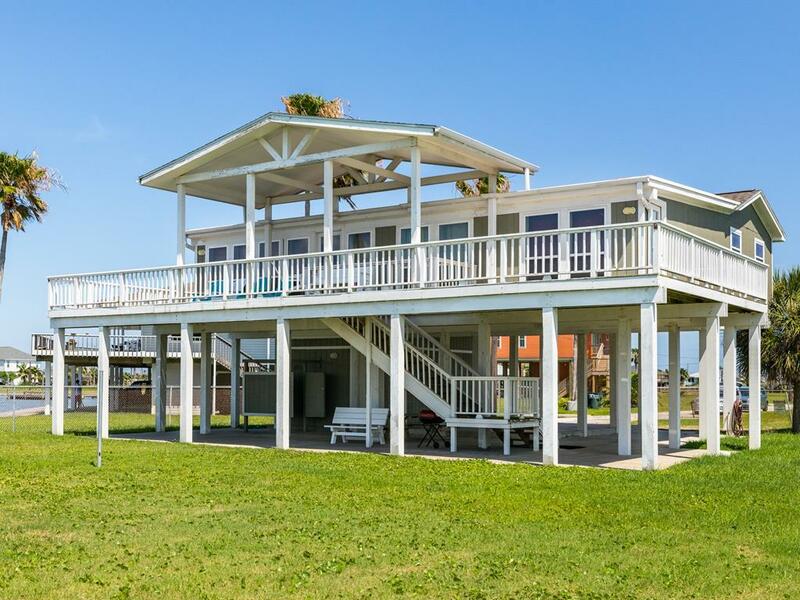 If you have a kid that loves to fish and crab and all that you will love love love this house. My kids love it. P.S. they don't don't call it sunset pier for no reason. The view is breathtaking. The sunsets are amazing!! This was an awesome place. I expected it to be nice, but getting there it was truly amazing and the view in the morning and evening was unheard of. I loved this place. Above the best! 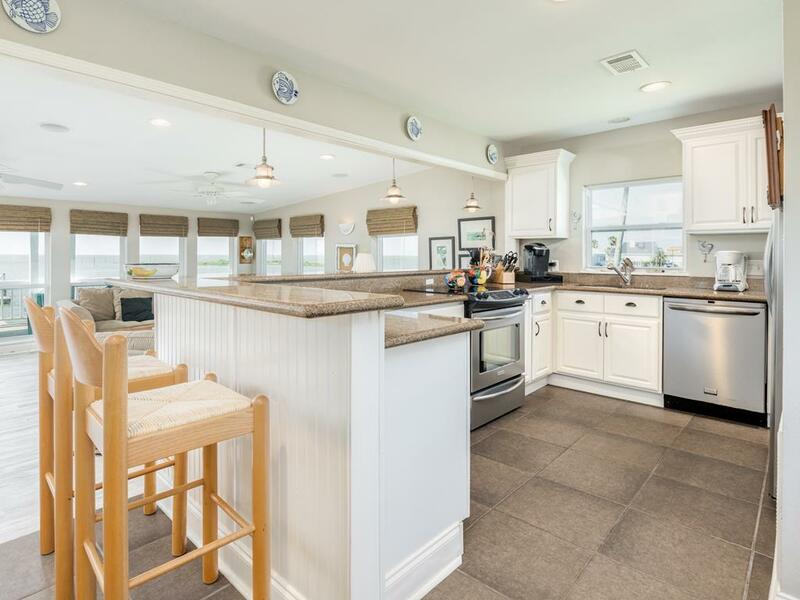 We have rented many, many beach and bay houses in the past. This one, by far, is the best and has exceeded our every expectation! Very modern with big, flat screen tvs in the bedrooms and living room, strong wifi, surround sound...The location is amazing too - so quiet. And the fishing! Right off of the pier we have caught at least 150 fish (always practiced catch and release). :) We cannot wait to come back this summer!!! 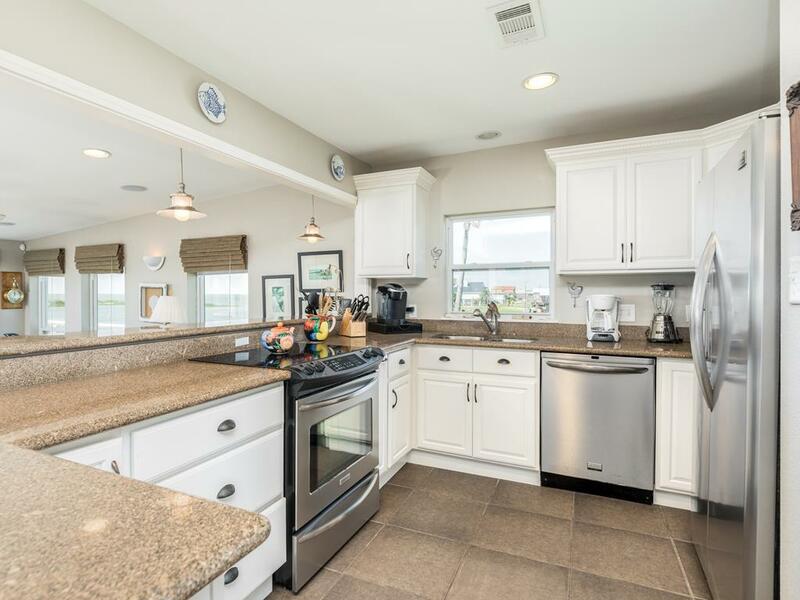 This house has an excellent view of bay, birds, and sunset. The house itself has all the basic accommodations, though nothing fancy. On our visit, there was a mildew smell that we worked to air out--once we did, the house was very enjoyable overall. The location and views of this property are amazing. Our kids loved the pier and all of the ease of fishing. We had a small issue with some things not working but it did not hold us back from enjoying this beautiful locale. We would probably rent this house again just for the location.